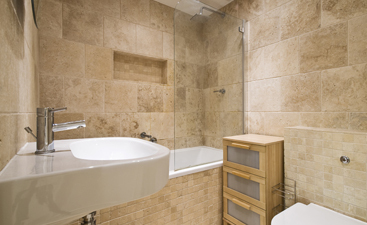 You’re renovating or remodeling your bathroom. You’ve decided tile is the best way to go. In fact, you want to use tile for the floor, around the vanity, and in the shower. It’s a great material to use that will last long and give you the feeling you desire in the space. However, you know that process can cost you. The first hurdle is the cost of the material. The second hurdle is the cost of mistakes. At Transworld Tile, we completely understand that a bathroom remodel can be a stressful experience, but we also know that the excitement of walking into a new bathroom the week after it’s finished is magical. 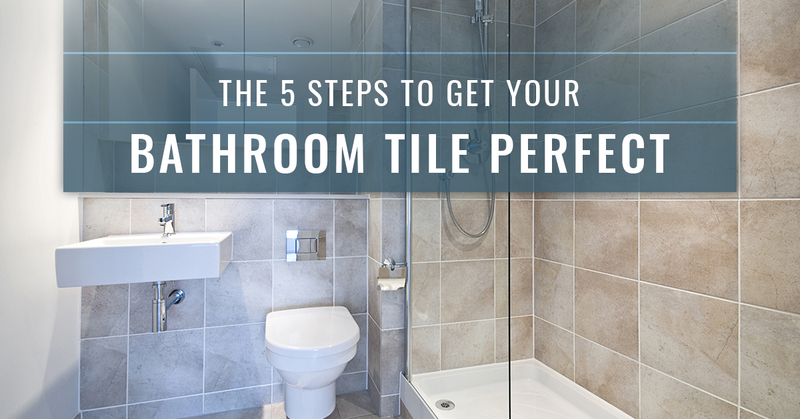 In this post, we’re going to share the five steps you and your contractor need to take in order to get your bathroom tile perfect the first time. It can be tempting to dive in and start the project, but you need to take a moment and really think hard about what you want for your bathroom. Making a plan that includes the layout, design, style, colors, features, and more will save you time, money, and the headaches. Before you purchase your tiles, make sure they will fit nicely wherever you’re installing them. One of the hardest lessons to learn while in the midst of a bathroom remodel is that you either didn’t buy enough tile, or they don’t fit the space. This may seem counterintuitive, but you want to hide any cut tiles near the floor. Most people’s eyesight will notice cut tiles near the ceiling, but they won’t notice the cut tiles near the floor. As much as professional installers and designers differ on this opinion, Transworld Tile has 30-plus years of experience with tile. Installing tile properly takes time. Professionals worth their pay take their time. When you get to installing tile near doors and windows, take your time. The edge of tile in these areas are more prominent, which means any small discrepancy will be out in plain sight. As an additional point to step four, the details of your tile are what will make or break your installation. 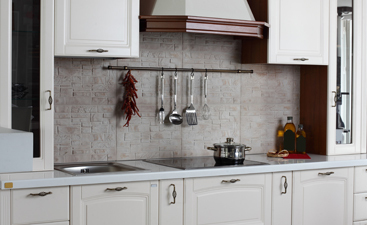 A tile installation that’s rushed or improperly completed will show in the details. For example, tile that wraps corners or transitions from floor to wall is where these details will show, whether good or bad. 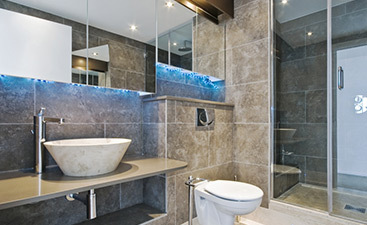 Are you ready to start your bathroom renovation or remodel? Follow these steps and then come see us in our showroom. We’re located in San Fernando, but we serve homeowners and contractors from Thousand Oaks and Los Angeles. Our selection of tile is vast, and we work to help you find the best tile for your project. Have some questions? Give us a call instead!